DENDROCALAMUS SP. 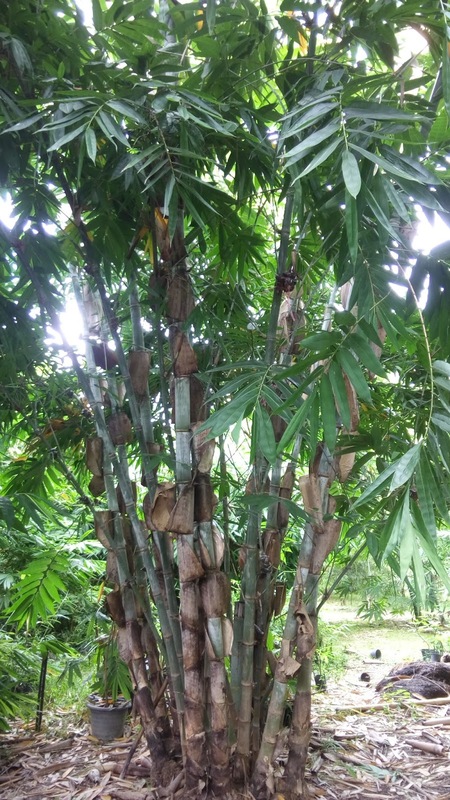 ไผ่โปกสามหมอก"PHAI POK SAM MOK"
Dendrocalamus sp "Phai pok sam mok" native in Mae Hong Son province ,Thailand. 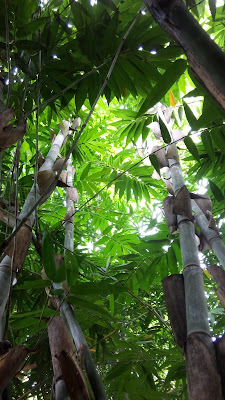 cultivated at Boonthammee Bamboo Garden. This clump 2 years old after planting in Oct 2014 and 10-12 years old start form seedling. 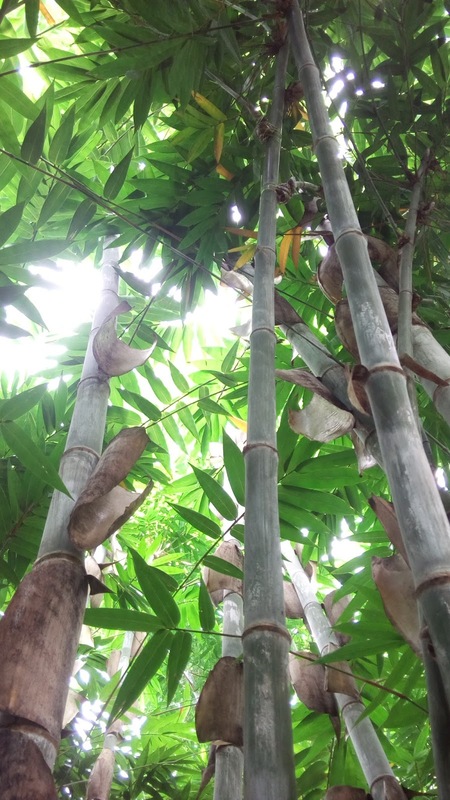 — Height usually over 20 m, diameter over 12 cm; clumper; habit erect and perfectly upright, slightly bending above, culms thick-walled. 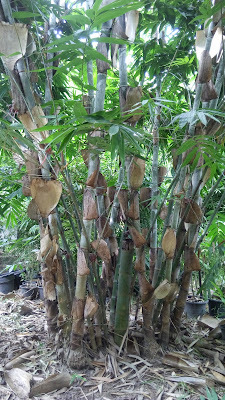 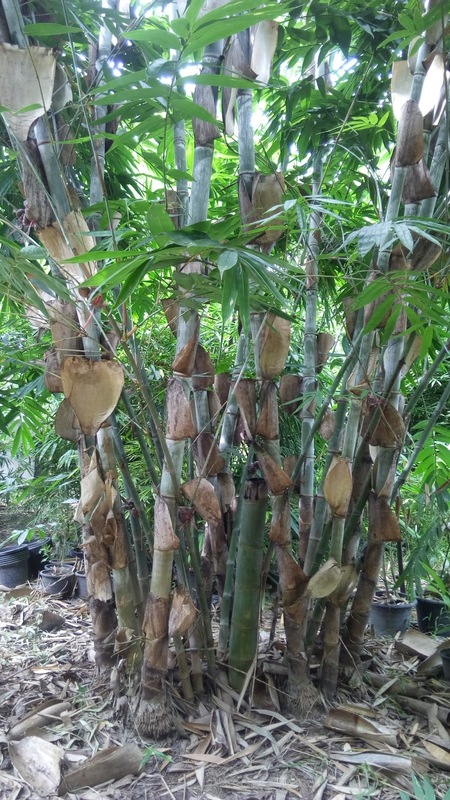 The plant has much ornamental value and used for landscaping, very suitable for tall screening. 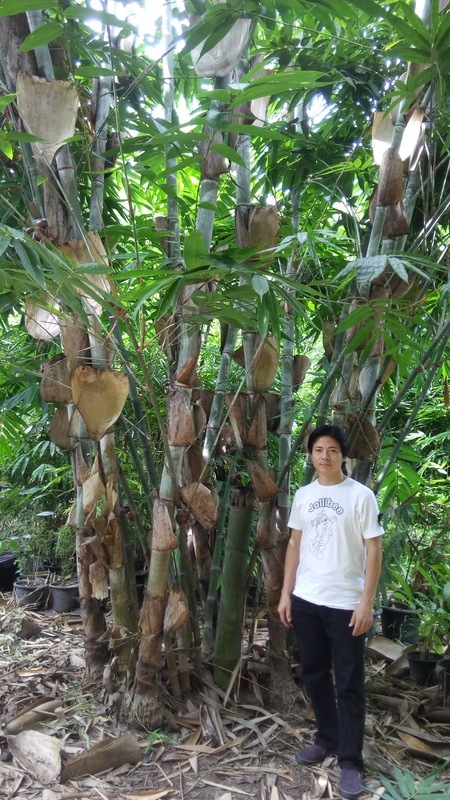 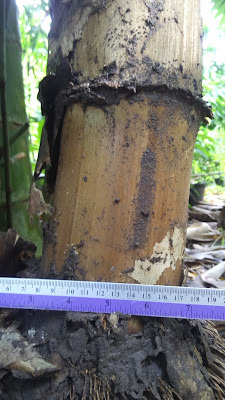 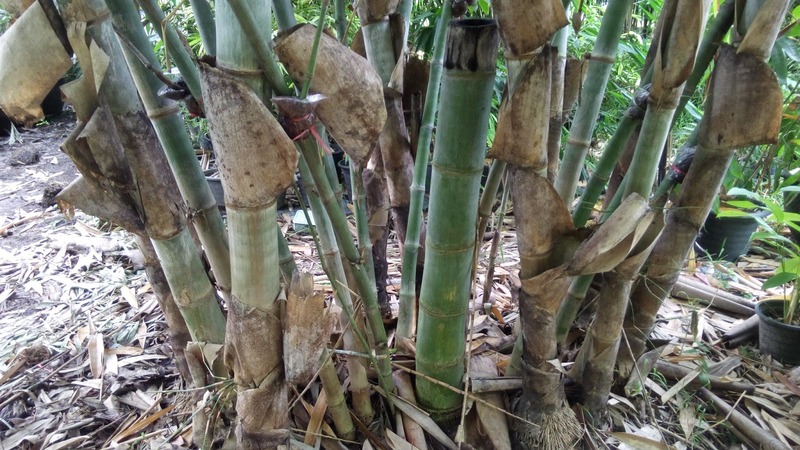 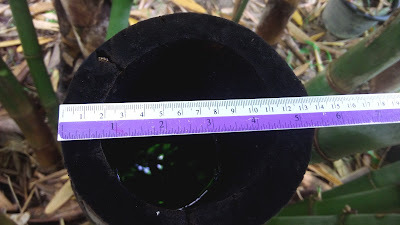 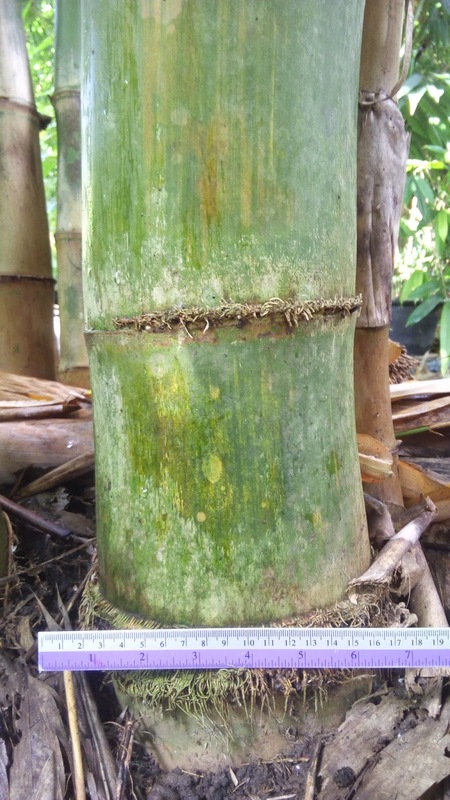 This bamboo species is not yet properly identified.